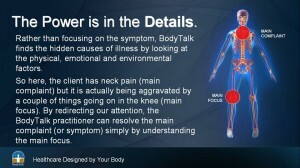 The BodyTalk system seeks to address the “whole person”. This means that no aspect of the human psyche can be overlooked, be it emotional, physical or environmental. In BodyTalk we have developed a WholeHealthcare™ system that supports and promotes the well being of any person, animal or plant. 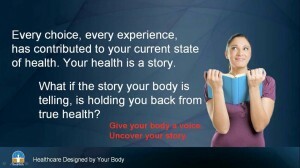 As WholeHealthcare™, BodyTalk understands the profound influence the psychology of the body has on our health, instead of focusing on the symptom, BodyTalk seeks to find the underlying causes of illness by addressing the whole person and their whole story. Using a biofeedback method of muscle testing BodyTalk provides insight to the areas of the body that need attention, what might seem like a obvious problem to you is not necessarily the one your body wants to address first. Using BodyTalk your body will bring up and begin to heal things in a order that are priorities for it to heal and have long lasting results. BodyTalk is based on the principle that the body is capable of healing itself at all levels – as evidenced by the healing process that is automatically initiated when a person cuts a finger or twists an ankle. This automatic, self-guided healing process is part of the body’s inborn intelligence, or the “innate wisdom” of the body, as we call it in BodyTalk. The innate wisdom guides the overall functioning of the body-mind complex, synchronizes all the activities as well as maintains balance, or homeostasis, within the body-mind complex. Every single cell, atom, and system is in constant communication with every other cell, atom and system within the bodymind complex at all times. This includes communication through the nervous system, as well as the other subtle energy circuits of the body – such as the meridians and the electromagnetic frequencies that are produced by the body through its functioning. Stress we experience in our daily life can cause these circuits to become compromised, weakening or disrupting the communication between the cells and systems. BodyTalk helps to re-establish these energetic circuits and efficient communication in a quick and effective way, which then allows the body to very quickly recover and catch up in the healing process. This is witnessed in how quickly symptoms disappear and function returns, often within just one or two BodyTalk sessions. Just as the body heals a wound with a particular sequence of bio-chemical, physical and energetic responses, the body addresses all healing in a certain order. This concept is vital in the BodyTalk balancing process to encourage the body’s ability to heal itself by the fastest means possible. The BodyTalk Practitioner relies on the guidance of the body’s natural wisdom to not only locate the weakened or broken lines of communication and establish how to re-connect them, but also to find the proper order in which they are to be restored. This is accomplished through a form of neuromuscular biofeedback, by which the practitioner is able to ask the body yes-or-no questions and receive answers directly from the body about the sequence for re-establishing these lines of communication. BodyTalk sessions are easy, safe and comfortable; they are done with the client fully clothed. A BodyTalk session usually lasts between 15 and 45 minutes. The length of a session is not indicative of the quality of the session or the results that occur; as even the simplest sessions can be quite profound. The body-mind knows just how many changes and corrections it is ready to initiate in any given session, and will therefore indicate when the session is complete and may even establish a time when you may need to return for a follow-up session. You and your BodyTalk Practitioner often begin your session by discussing your health status and whatever other personal issues you may wish to address. Then, you will relax on a treatment table while the practitioner, positioned at your side, will gently use your arm in such a manner to establish Yes/No communication. This Yes/No communication is also called neuromuscular biofeedback, which is similar to applied kinesiology. By understanding that your body has an inherent knowledge of itself, the BodyTalk Practitioner is able to quickly and easily ask your body what communication circuits have become compromised,or where emotions are being stored In the body and in which order these lines of communication need to be re-established and emotions released for the fastest possible healing process to occur. The practitioner then lightly taps you on the top of the head, which stimulates your brain and causes it to initiate corrections to the broken circuits. This is similar to how the CPU of a computer runs the programs and makes all the calculations. Your practitioner then taps you on the sternum to “save” the corrected energy circuit in the heart center and to share this information with every single cell in the body. The heart is responsible for communicating the state of the body’s health to the rest of the body through the heart beat. This means that your body will remember these changes after the session, just like hitting the save button on a document will save changes to the computer hard drive so you can access them again later. Leah became interested in the health and wellbeing at an early age due to a chronic childhood illness that had her hospitalized for a much of her childhood. Seeing the effects of an illness to others around her had a fundamental impact on her. After overcoming her health issues with the help of complimentary health medicine, she knew she wanted to go into the field of helping and serving others with their health challenges. As a teen, watching a close family member struggle with drug addictions solidified her decision to help others overcome the barriers in their lives. She went into social work as a career choice. Within a few years, she realized that for her, it was just a band-aid solution, and red tape prevented true help. She quickly realized that whether dealing with a health issue, an addiction, or emotional issue, you must get to the root cause for changes and therefore healing to occur. After the birth of her second daughter and 7 years in the social work field, Leah became a full time mom and began independently researching and studying natural and alternative health care. In 2007, she took her Reiki levels 1 & 2 and began practicing while continuing to search for something that would treat the person as a whole, on all levels: physical, emotional, mental and spiritual. Something that addressed the root cause of symptoms. In 2008, Bodytalk fell into her lap, and she knew she had at last found what she had been searching for. Leah took a BodyTalk access course in September of 2008 followed by fundamental and advanced courses. In November 2009, she became certified as a practitioner. Leah continues to take more courses to continue her a life-long learning journey. 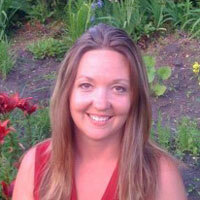 Her passion is helping people achieve optimum health and wellness. She would welcome the opportunity to support you and walk the journey with you towards your health and life goals. Leah’s other passions are her family, her two dogs, spending time at the lake, and fishing. Quality time with family and friends are a primary focus for Leah.